Our Divine Cleanses help you to 'detox' your energetic vibration as you release energetic impurities from within. We hope that you enjoy these energies and that they bring you happiness in your life! 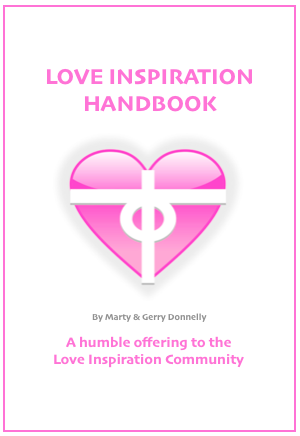 Love Inspiration is delighted to offer you our Divine Cleanses to help you cleanse and nourish your body, mind & soul. Why not enjoy a few days of peace, purification and healing as you receive these wonderfully cleansing and nourishing energies with lots of love! The cleanses that we offer are shown in the diagram below with each cleanse working in slightly different ways. We invite you to have a look through the information on this page to see which cleansing energies feel right for you. If you ask any naturopath about cleansing and whether it is important for long lasting health and wellbeing, they will normally tell you that it is best if you can cleanse on a regularly basis. Regular cleansing is proven to be great for your general health and wellbeing as it helps you to purge out many of the toxins and other nasties that lie within your various bodily systems. Our Divine Cleanses work in a very similar way except that you have the added bonus of knowing that the cleansing work you are doing is happening at a very deep energetic level. We feel that this kind of energy based healing work can help us to live a healthier, happier and more divinely fulfilling life; one which brings much love, light and joy to ourselves and others. All of these individual cleanses can be received by anyone, regardless of spiritual background, previous experience or religious belief. We hope you enjoy these beautiful cleansing energies with love. The Harmonium Replenish is a very simple and easy cleanse which lasts for 6 days. To complete the cleanse, you simply need to recite one affirmation each day which helps to bring in much cleansing love & light into your energy field. These affirmations work in the same way as a 'mantra' would i.e. as you say these affirmations throughout this 6 day period, you are receiving many kinds of healing, cleansing and nourishing energies into your entire body. This is a great cleanse for beginners and especially those who are very new to the idea of energy based healing. The Harmoniser is a series of energies designed to bring harmony or balance to us in times of stress or imbalance. These energies help to repair, nurture and cleanse your energy which then allows you to move closer towards peace, love and harmony in your life. This cleanse can be completed within 4 - 6 days and calls on the healing energies via a set of symbols. We work with one symbol sequence which lasts for 5 minutes and repeat this 3 - 4 times each day (a total of around 20 minutes each day). Our free ebook will guide you through this process very easily and with love. The Analgam Cleanse is one of our more intensive cleanses and will likely help you to release much impurity and darkness from within. The course can be completed over 19 days and during this time, you will be guided to work with a number of symbols to help call on or invoke the required healing & purification energies. The estimated daily practice time for this cleanse is around 15 - 20 minutes each day (3 - 4 sessions of 5 minutes each day). May you enjoy these beautiful & deep cleansing energies and may they bring more health, rejuvenation & love into your life! The Syon Cleanse Series has been brought through to Love Inspiration to help you clear away and release many kinds of healing issues and impurities from within. To receive these energies, it is necessary to be walking on our of our Ascension Pathways and as such, these beautiful Syon cleansing energies will be of great help to you as you accelerate towards more love & light in your life. We hope you enjoy these beautiful cleansing energies and may they help to bring you much love, light & happiness! The Syon cleanse is the first cleanse in this series and is a very simple and easy cleanse which can be completed in around 2 days. This first cleanse provides you with a wonderful way of ridding your body of recently digested toxins, chemicals and pollutants and can be used on an ongoing basis. Sit back and enjoy receiving these beautiful energies as a 'healing session' in around 20 minutes a day. Being so simple and easy to use, this cleanse is great for beginners! It is a wonderful first step on this Syon Cleanse journey and will help you to move towards more love, light & purity in your life. Once you have completed The Syon Cleanse, you are now able to move into the higher energetic vibrations of The Advanced Syon Cleanse. Having now completed The Syon cleanse, The Advanced Syon Cleanse offers you a beautiful divinely guided filtration system that helps to purify and cleanse your energies at a very deep level. These cleansing energies are highly effective when used in conjunction with the Ascension Pathways as they will help to accelerate your continued progress into the vibration of the new consciousness. The Master Syon Cleanse offers another very significant step upward in energetic vibration and can help you to cleanse at a root cause level, as the Guides explain - "The Master Syon Cleanse is an elevated step up in advancement. It opens the doorway to an advanced inter-dimensional cleansing system that enables deep extraction of the root cause illusions and thoughts causing suffering. In addition, it opens the pathway to a new-healed, purified and cleansed state of being; that far superior to cleanses previous."